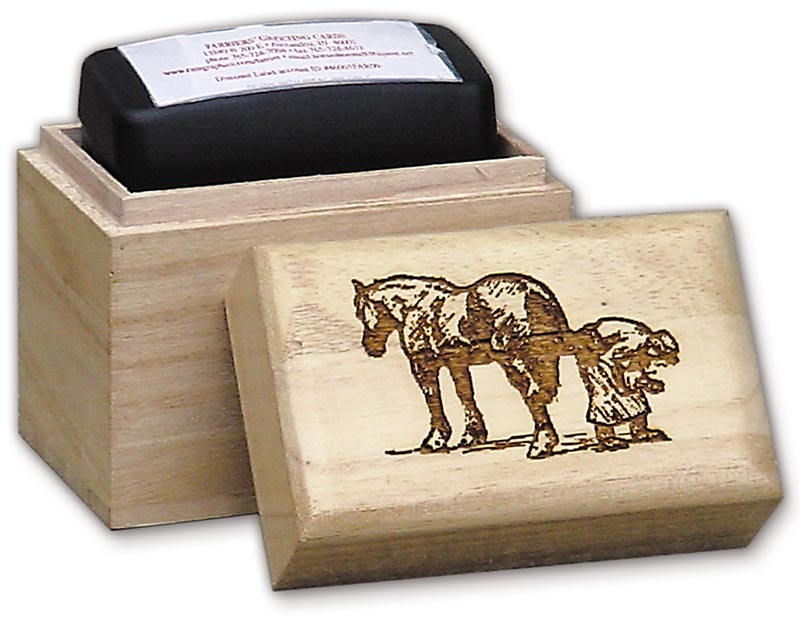 You can order your self-inking stamp packaged in a beautiful wooden gift box. The farrier logo is laser engraved on the lid. This sturdy and attractive wooden box is the perfect place to store and protect your rubber stamp - you can keep it handy on your desktop instead of stashed in a drawer!